Margaret Madeline Chase Smith (December 14, 1897 – May 29, 1995) was an United States politician. A member of the Republican Party, she served as a U.S Representative (1940-1949) and a U.S. Senator (1949-1973) from Maine. She was the first woman to serve in both houses of the United States Congress, and the first woman to represent Maine in either. A moderate Republican, she was among the first to criticize the tactics of McCarthyism in her 1950 speech, "Declaration of Conscience". Smith was an unsuccessful candidate for the Republican nomination in the 1964 presidential election, but was the first woman to be placed in nomination for the presidency at a major party's convention. Upon leaving office, she was the longest-serving female Senator in history, a distinction that was not surpassed until January 5, 2011, when Senator Barbara Mikulski was sworn in for a fifth term. To date, Smith is ranked as the longest-serving Republican woman in the Senate. Margaret Chase was born in Skowhegan in western Maine, to George Emery and Carrie Matilda (née Murray) Chase. She was the oldest of six children, two of whom did not survive to adulthood. Her father was of English ancestry, a descendant of immigrants to the United States in the 17th century; her great-great grandfather commanded an artillery company during the War of 1812, and her grandfather served in the Union Army during the Civil War. Her mother's family was French Canadian, having immigrated from Quebec in the middle of the 19th century; her grandfather, Lambert Morin, changed his name to John Murray to avoid anti-French Canadian and anti-Catholic prejudice. Her father was the town barber, and her mother worked as a waitress, store clerk, and shoe factory worker. She received her early education at Lincoln and Garfield Elementary Schools. At age 12, she went to work at a local five-and-dime store and even bought herself a life insurance policy. She also shaved her father's customers when he was busy or away from the shop. She attended Skowhegan High School, graduating in 1916. During high school, she played on the girls' basketball team, of which she was captain in her senior year. She also worked as a substitute operator with a telephone company during this time. In that position she met Clyde Smith, a prominent local politician, who arranged a job for her as a part-time assistant to the tax assessor. Following her high school graduation, Chase briefly taught at the Pitts School, a one-room school near Skowhegan. She also coached the girls' basketball team at Skowhegan High (1917-1918). She was a business executive for the Maine Telephone and Telegraph Company (1918-1919) before joining the staff of the Independent Reporter, a Skowhegan weekly newspaper (owned by Clyde Smith) for whom she was circulation manager from 1919 to 1928. She became involved with local women's organizations. She co-founded the Skowhegan chapter of the Business and Professional Women's Club in 1922, and served as editor of the club's magazine, The Pine Cone. From 1926 to 1928, she was president of the statewide organization, the Maine Federation of Business and Professional Women's Clubs. She became treasurer of the New England Waste Process Company in 1928, and was also employed as an office worker with the Daniel E. Cummings Woolen Company, a local textile mill. On May 14, 1930, Chase married Clyde Smith, who was 21 years her senior. She soon became active in politics, and was elected to the Maine Republican State Committee, on which she served from 1930 to 1936. After Clyde was elected to the U.S. House of Representatives from Maine's 2nd congressional district in 1936, Smith accompanied her husband to Washington, D.C. to serve as his secretary. In this position, she managed his office, handled his correspondence, conducted research, and helped write his speeches. She also served as treasurer of the Congressional Club, a group composed of the wives of congressmen and Cabinet members. In the spring of 1940, Clyde Smith fell seriously ill after suffering a heart attack, and asked his wife to run for his House seat in the general election the following September. He prepared a press release in which he stated, "I know of no one else who has the full knowledge of my ideas and plans or is as well qualified as she is, to carry on these ideas and my unfinished work for my district." He died on April 8 of that year, and a special election was scheduled on the following June 3 to complete his unexpired term. Facing no Democratic challenger, Smith won the special election and became the first woman elected to Congress from Maine. Three months after the special election, she was elected to a full two-year term in the House in her own right. Smith defeated Edward J. Beauchamp, the Democratic mayor of Lewiston, by a margin of 65%-35%. She was re-elected to three more terms over the course of the next eight years, never receiving less than 60% of the vote. During her tenure in the House, Smith developed a strong interest in issues concerning the military and national security. After being appointed to the House Naval Affairs Committee in 1943, she was assigned to the investigation of destroyer production, and made a 25,000-mile tour of bases in the South Pacific during the winter of 1944. She also became the first and only civilian woman to sail on a U.S. Navy ship during World War II. She became known as "Mother of the WAVES" after introducing legislation to create that organization. Although Congresswoman Smith was a strong supporter of women in the armed services, she did not write the legislation that created the special female military units during World War II. She did, however, champion the legislation that gave women permanent status in the military following the war. A supporter of President Harry S. Truman's foreign policies, she was mentioned as a possible candidate for Under Secretary of the Navy in 1945 and for Assistant Secretary of State in 1947. Smith became a member of the House Armed Services Committee in 1946, also serving as chair of its Subcommittee on Hospitalization and Medicine. In this position, she sponsored and ensured the passage of the Women's Armed Services Integration Act, a bill to regularize the status of women in the armed forces that was signed into law by President Truman in June 1948. Smith also earned a reputation as moderate Republican who often broke ranks with her party. She supported much of President Franklin D. Roosevelt's New Deal legislation, as had her husband while he was in office. She voted in favor of the Selective Service Act in 1940, and voted against the Smith–Connally Act in 1943. In 1945, she voted against making the House Un-American Activities Committee a permanent body. As a member of the House, Smith began wearing a single red rose that became a daily fixture of her attire throughout her career in public office. She waged a long campaign to have the rose declared the official flower of the United States, which Congress eventually approved in 1987. 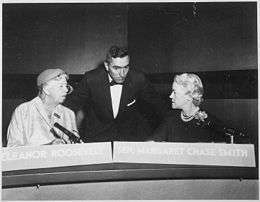 Smith and Eleanor Roosevelt jointly appear as the first-ever women panelists on Face the Nation in 1956. In August 1947, after three-term incumbent Wallace H. White, Jr. decided to retire, Smith announced her candidacy for his seat in the U.S. Senate. In the Republican primary, she faced incumbent Governor Horace A. Hildreth, former Governor Sumner Sewall, and Reverend Albion Beverage. She ran a grassroots campaign with little money, using the slogan, "Don't change a record for a promise." When the wife of one of her opponents questioned whether a woman would be a good Senator, Smith replied, "Women administer the home. They set the rules, enforce them, mete out justice for violations. Thus, like Congress, they legislate; like the Executive, they administer; like the courts, they interpret the rules. It is an ideal experience for politics." On June 21, 1948, she won the primary election and received more votes than her three opponents combined. In the general election on September 13, she defeated Democrat Adrian H. Scolten by a margin of 71%-29%. She became the first woman to represent Maine in the Senate, and the first woman to serve in both houses of Congress. Smith was sworn into the Senate on January 3, 1949. After a year in office, she gained national attention when she became the first member of Congress to condemn the anti-Communist witch hunt led by her fellow Republican Senator, Joseph McCarthy of Wisconsin. Smith was initially impressed by McCarthy's accusations of Communists working in the State Department, but became disillusioned after McCarthy failed to provide any evidence to validate his charges. On June 1, 1950, she delivered a fifteen-minute speech on the Senate floor, known as the "Declaration of Conscience," in which she refused to name McCarthy directly but denounced "the reckless abandon in which unproved charges have been hurled from this side of the aisle." She said McCarthyism had "debased" the Senate to "the level of a forum of hate and character assassination." She defended every American's "right to criticize...right to hold unpopular beliefs...right to protest; the right of independent thought." While acknowledging her desire for Republicans' political success, she said, "I don't want to see the Republican Party ride to political victory on the four horseman of calumny -- fear, ignorance, bigotry, and smear." 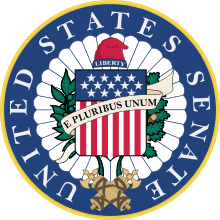 Six other moderate Senate Republicans signed onto her Declaration, including Wayne Morse of Oregon, George Aiken of Vermont, Edward Thye of Minnesota, Irving Ives of New York, Charles Tobey of New Hampshire, and Robert C. Hendrickson of New Jersey. In response to her speech, McCarthy referred to Smith and the six other Senators as "Snow White and the Six Dwarfs." He removed her as a member of the Permanent Subcommittee on Investigations, giving her seat to Senator Richard Nixon of California. He also helped finance an unsuccessful primary challenger during Smith's re-election campaign in 1954. Smith later observed, "If I am to be remembered in history, it will not be because of legislative accomplishments, but for an act I took as a legislator in the U.S. Senate when on June 1, 1950, I spoke...in condemnation of McCarthyism, when the junior Senator from Wisconsin had the Senate paralyzed with fear that he would purge any Senator who disagreed with him." She voted for McCarthy's censure in 1954. On July 17, 1950, Smith was commissioned as a Lieutenant Colonel in the Air Force Reserve, and she served until 1958. In the 1952 election, Smith was widely mentioned as a vice-presidential candidate under General Dwight D. Eisenhower. When asked by a reporter what she would do if she woke up one morning and found herself in the White House, she replied: "I'd go straight to Mrs. Truman and apologize. Then I'd go home." Exhibiting the same independent nature in the Senate as she had in the House, Smith opposed President Eisenhower's nomination of Lewis Strauss as Secretary of Commerce in 1959. In her successful re-election campaign in 1960, she ran against Democrat Lucia Cormier, the minority leader of the Maine House of Representatives; it was the first time in American history that two women ran against each other for a Senate seat. On January 27, 1964, Smith announced her candidacy for President of the United States. She declared, "I have few illusions and no money, but I'm staying for the finish. When people keep telling you, you can't do a thing, you kind of like to try." She lost every single primary election, but did manage to win 25% of the vote in Illinois. At the 1964 Republican National Convention in San Francisco, she became the first woman to have her name be placed in nomination for the presidency at a major political party's convention. She placed fifth in the initial balloting, and denied unanimous consent for Senator Barry Goldwater of Arizona after refusing to withdraw her name from the final ballot. She nevertheless campaigned for Goldwater in the general election, appearing in a television ad in which she defended his position on Social Security. During the administration of President John F. Kennedy, Smith argued that the United States should use nuclear weapons against the Soviet Union. This led Soviet leader Nikita Khrushchev to call Smith "the devil in disguise of a woman" whose position exceeded "all records of savagery." Smith later replied, "Mr. Khrushchev isn't really mad at me. I am not that important. He is angry because American officials have grown more firm since my speech." The morning after President Kennedy's assassination in November 1963, she went into the Senate chamber before it convened and laid a rose on the desk Kennedy had occupied as a Senator. A member of the Senate Armed Services Committee, she supported the Vietnam War but opposed the deployment of the Sentinel anti-ballistic missile. Smith was the first (and as yet only) woman to serve as chair of the Senate Republican Conference, serving from 1967 to 1972. She voted against President Nixon's unsuccessful nominees to the Supreme Court, Clement Haynsworth in 1969 and G. Harrold Carswell in 1970. She was a strong supporter of the space program and served as a charter member of the Senate Aeronautical and Space Committee. NASA administrator James E. Webb once commented that the United States never would have placed a man on the Moon if it were not for Smith. She supported increased educational funding, civil rights, and Medicare. She held an all-time voting record in the Senate until 1981 with 2,941 consecutive roll call votes. She was defeated for re-election in 1972 by Democrat Bill Hathaway, the only election she ever lost in the state of Maine. In her last election, Smith had been plagued by rumors of poor health (she had been using a motor scooter around the Senate). A Republican primary challenger taunted her for being out of touch; she did not have a state office operating in Maine. Smith lost the election by 27,230 votes, a margin of 53%-47%. She was elected a Fellow of the American Academy of Arts and Sciences in 1952. In 1995 Smith was awarded the Naval Heritage Award by the U S Navy Memorial Foundation for her support of the U S Navy, U S Navy WAVES, and the military during her congressional career. Following her departure from the Senate, Smith taught at several colleges and universities as a visiting professor for the Woodrow Wilson National Fellowship Foundation (1973-1976). She resumed her residence in Skowhegan, where she oversaw the construction of a library to hold her papers. She was awarded the Presidential Medal of Freedom by President George H.W. Bush on July 6, 1989. At age 97, Smith died in her native Skowhegan in 1995, after suffering a stroke eight days earlier that had left her in a coma. She was cremated, and her ashes were placed in the residential wing of the Margaret Chase Smith Library in Skowhegan. On February 2, 1952, Smith was the guest on the CBS variety show, Faye Emerson's Wonderful Town, in which hostess Faye Emerson visited Washington, D.C., to accent the kinds of music popular in the nation's capital. On 14 June 1953 she was the "mystery celebrity " guest on "What's My Line?" In 1958, Folkways Records released the album, An Interview with Margaret Chase Smith, in which she spoke of women in local and national politics, and addressed the youth of the nation. Janis Benson portrayed Senator Smith in the 1998 miniseries From the Earth to the Moon. Patricia Neal dramatized Senator Smith's Declaration of Conscience speech in the 1978 television movie Tail Gunner Joe. In 1961 Smith published her favorite family recipe, Maine Clam Chowder, in support of the Gold Star Wives of America military family support organization. In 1979, the Supersisters trading card set was produced and distributed; one of the cards featured Smith's name and picture. On June 13, 2007, the United States Postal Service issued a 58¢ postage stamp in its Distinguished Americans series to honor her. In 2010 the United States political action committee Maggie's List was founded, named after Smith; it works to "raise awareness and funds to increase the number of conservative women elected to federal public office." A large framed painting of Smith hangs in the Maine State House in Augusta, Maine. 1 2 3 4 5 6 7 8 9 10 "SMITH, Margaret Chase, (1897 - 1995)". Biographical Directory of the United States Congress. 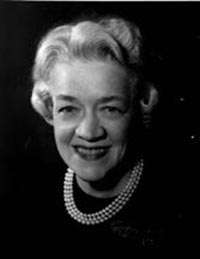 1 2 "Senator Margaret Chase Smith (1897-1995)". University of Maine. 1 2 "June 1, 1950: A Declaration of Conscience". United States Senate. 1 2 "Margaret Chase Smith, Republican of Maine". Edward M. Kennedy Institute for the United States Senate. ↑ "Women in the Senate - Interactive Graph". The New York Times. March 21, 2013. Retrieved May 14, 2014. 1 2 3 4 5 6 7 8 9 Current Biography Yearbook. VI. H.W. Wilson Company. 1971. 1 2 3 4 5 6 Gutgold, Nichola D. (2006). Paving the Way for Madam President. Lexington Books. 1 2 3 Wallace, Patricia Ward (1995). 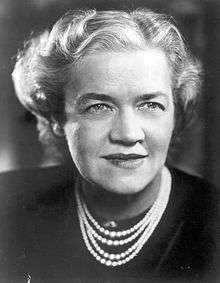 Politics of Conscience: A Biography of Margaret Chase Smith. Praegar Publishers. 1 2 3 4 5 Hutchison, Kay Bailey (2004). American Heroines: The Spirited Women Who Shaped Our Country. HarperCollins. 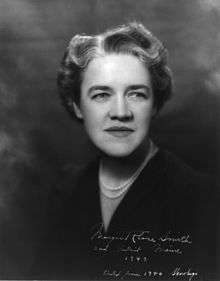 1 2 3 4 5 6 7 8 9 10 11 12 13 14 "Margaret Chase Smith". Women in Congress. 1 2 3 4 5 6 7 8 9 Severo, Richard (1995-05-30). "Margaret Chase Smith Is Dead at 97; Maine Republican Made History Twice". The New York Times. 1 2 Sleeper, Frank H. (1996). Margaret Chase Smith's Skowhegan. Arcadia Publishing. 1 2 3 4 5 "Margaret Chase Smith". Encyclopædia Britannica. 1 2 "Statistics of the Presidential and Congressional Election of November 5, 1940" (PDF). Clerk of the United States House of Representatives. 1 2 "Margaret Chase Smith". Digital History. 1 2 "Senator Margaret Chase Smith". University of Maine at Augusta. 1 2 "September 13, 1948: First Woman Elected to Both Houses of Congress". United States Senate. 1 2 3 4 5 6 "Expanded Biography". Margaret Chase Smith Library. ↑ "Statistics of the Presidential and Congressional Election of November 2, 1948" (PDF). Clerk of the United States House of Representatives. 1 2 "Margaret Chase Smith: A Declaration of Conscience". United States Senate. 1 2 Smith, Margaret Chase (1950-06-01). "Declaration of Conscience" (PDF). United States Senate. Retrieved 2013-09-15. ↑ "Margaret Chase Smith: A Featured Biography". United States Senate. ↑ "Senator Margaret Chase (Goldwater, 1964)". The Living Room Candidate. ↑ Hodgson, Godfrey (1995-06-03). "OBITUARIES: Margaret Chase Smith". The Independent. 1 2 "Margaret Chase Smith". United States Senate. ↑ "Book of Members, 1780–2010: Chapter S" (PDF). American Academy of Arts and Sciences. Retrieved July 29, 2014. ↑ "Who's Who in the Kitchen - 1961". ↑ "Maggie's List. Women's Political Action Committee. Who we are and what we do". Maggieslist.org. Retrieved 2015-06-13. ↑ "Spotlight: Conservative Maggie's List aids candidates". Dnj.com. 2015-03-27. Retrieved 2015-06-13. Wikimedia Commons has media related to Margaret Chase Smith.